This course is challenging with length (7,309 yards from the tips) but it offers a lot of birdie opportunities if you stay in play. The elevation also helps (5,200-plus feet) make the course more 'gettable'. It is a tale of two distinct nines with mountain golf on the front nine (i.e., massive elevation changes) changing to a wide-open course on the back nine with distinct treachery along the Colorado River. There is a good chance you'll see wildlife during your round (elk, deer, maybe even big-horn sheep) but you will not see any traffic. 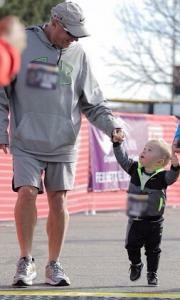 This course is miles away from busy ski towns of Vail and Aspen and is rooted in the rustic western slope of Colorado. Rates top out at $57...this track is a steal. 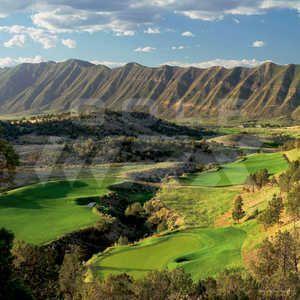 In fact, play here before you head to Redlands Mesa in Grand Junction, CO. The duo is sure to impress. From the website, "The opening side features a series of three holes that stand out and "go together." The fifth, sixth and seventh holes are known around Battlement Mesa as "the gauntlet" — and for good reason. The fifth is a 554-yard par 5, the sixth is a par 4 of 476 yards and the seventh is another par 5, some 615 yards in length. On the fifth hole, you're heading right at the Battlement Mesa and enjoy majestic mountain views...while the seventh hole is one of the prettiest on the front side, with an elevated tee offering breathtaking views of the clubhouse and the mesa that sits across from Battlement Mesa." "The back nine at Battlement Mesa is nearly devoid of trees and offers a true high-desert experience on a mesa overlooking the Colorado River. While the vistas are more open, the final nine holes are just as demanding in terms of accuracy thanks to the presence of "The River." From the eleventh and twelfth holes, golfers get their first look at the Colorado River, which flows at the bottom of a steep slope. That slope and the beautiful views continue on holes thirteen and fourteen." Conditions are always top notch. Fluffy bunkers, thick-ish rough. Staff is super friendly. Good mix of long and short holes which is something I like. I'm not a huge fan of playing a course where every part 3 is over 200yds. This track mixes it up. A brief description of why you think it's a hidden gem (and please include a photo if you have one! 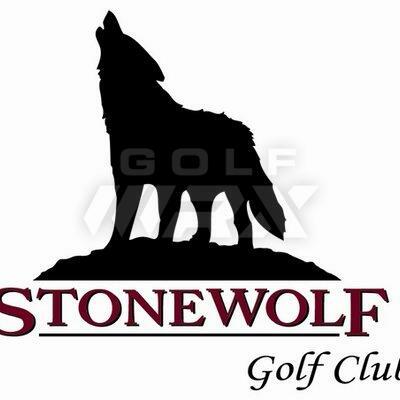 ): Stonewolf Golf Coruse is a great course. When its at the beginning of the season the course is in amazing shape. It has great impressive views of nature and the holes are shaped in and out of the land and it makes this coursebeautiful to look at. It gets alot of play through the golf season. But it holds up pretty well. This year its been a little bad but they are doing some remolding of the greens and bunkers. I love this course because you have to think your way around the course. the frist 4 holes are 1,3 and 4 are par 4's and 2 is a par 3. But for the frist 4 holes the course takes driver out of your hands and you must think about your club selection. Its a great course to learn the game not too hard but not too easy. My 8 year old son Gavin loves to play here. Also you cant beat a Jack Nicklaus Signature course. First 9 is a 'links' style set up. Second nine is called the 'woods' as it meanders down into the woods with more tree cover. 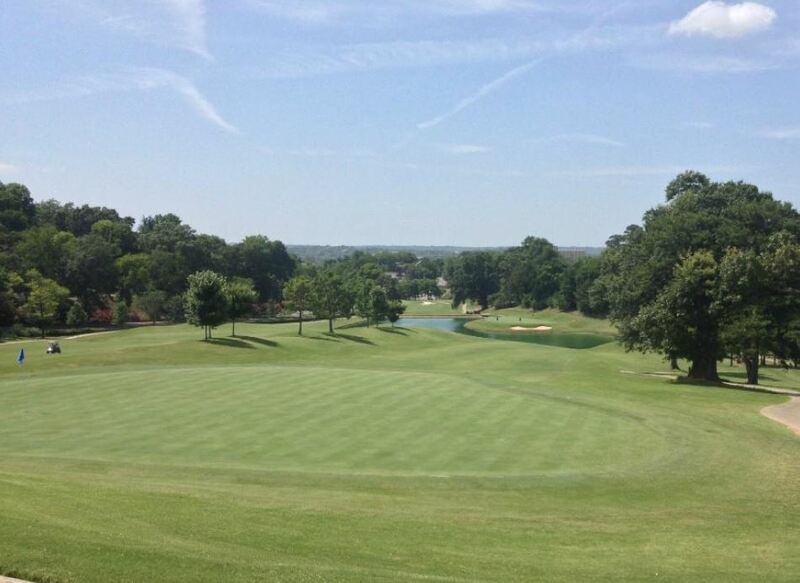 Course is in amazing condition year round and has an amazing layout. Nestled in the foothills at the base of the SawTooth Mountains. 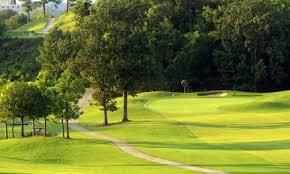 Course is kept in country club level condition and is very challenging. Its a target golfers dream, you can play it with about 6 clubs and you rarely "need" a driver. Greens are in great shape and there are some great elevation holes. 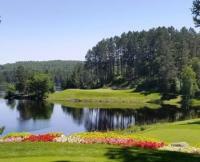 Pic was taken from the Champion Tee on the 18th Hole. You basically tee off over 2 other holes and the view is AWESOME. Great layout! - makes you think your way through the round. 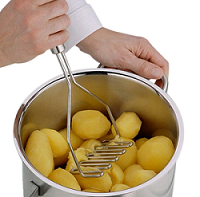 Challenging but not overly penal. 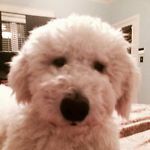 Walkable - although that's relative (keep in mind this is the hill country). Grass only driving range. Friendly People. Easy access (only a few minutes off of I89). Flying Goose Brew Pub just down the road - best place for after round refreshments. A brief description of why you think it's a hidden gem (and please include a photo if you have one! 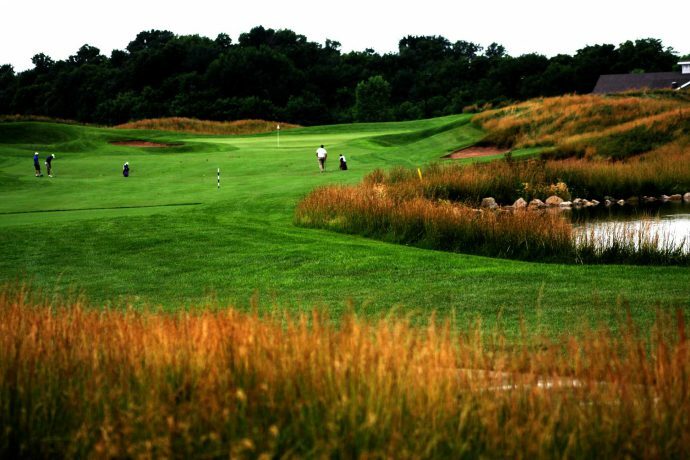 ): This 9 hole reversible course is located approximately 30 miles away from the acclaimed Giant's Ridge and Wilderness courses that are usually the center of most MN golf trips. However, few people include this course in the itinerary and it should be. The trip to the course is memorable as you are deep in the northwoods and must drive down a long gravel road to arrive at the clubhouse. 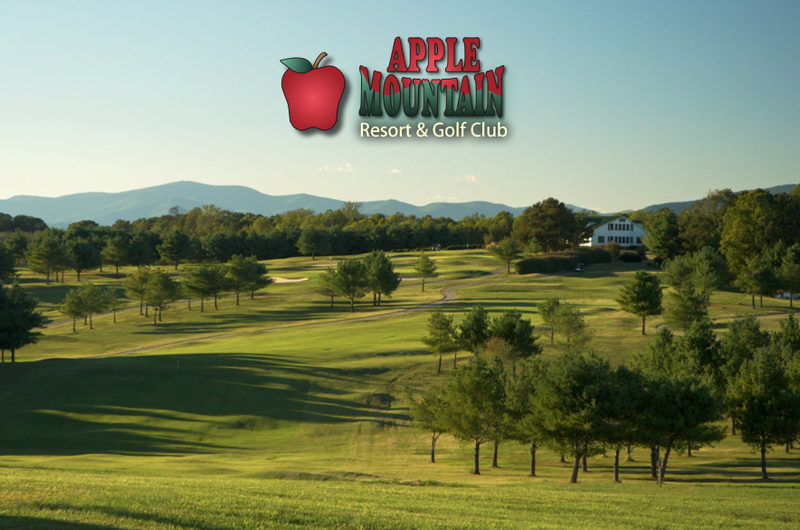 The course has elevation changes, rock outcroppings throughout, and is generally just a fun time. However, the most impressive part of the course may be that the entire thing is maintained by one man that lives in a house(the only one you'll see) on the property. If you are going to make it up this way you'd be remiss to skip this gem. Course Description: This will not make many peoples grand lists but it will always be at the top on mine. This is the course at the age of 9yrs old I fell in love with the game. It's the first course I shot even par on ( back then 15 was a 320 par 4) at the age of 14, It's the first course I hit all 18 greens in regulation ( a big accomplishment since the greens are super small) and also beat many a foreign players in head to head battles ( Usually by one stroke to the roar of a magnificent crowd). 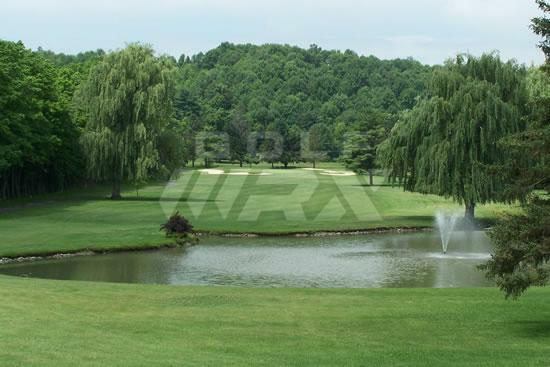 The course itself is a Kentucky bluegrass/bent grass rolling course thru the Ohio River valley area. Bunkers aren't spectacular but placed in the right place. Course plays at it's absolute longest 6800+ yards but since the soil is fairly soft it effectively plays closer to 7000yards. Also through in some elevation gains to the greens on about 30% of the holes and it makes it feel longer. The range is terrible, you hit rock balls off mats and the putting green rolls at a 5 but the course with the gas powered carts, most have no roof so wear a hat. It has some really good long par 4's that are not easy. LOT's of trees and as a kid this was MY Oakmont, St. Andrews, Augusta National and Pebble Beach rolled into one. I would encourage anyone in the Cincinnati area if you have a spare day and $30 then roll over there and play it. Again, it's not a championship course but if I had one course to play one last time I'd stick my peg in the ground right here. This has to be the best course description I have ever read. Sharp Park is likely one of America’s courses in most need of a restoration to as much of Mackenzie’s plans as possible. A brief description of why you think it's a hidden gem (and please include a photo if you have one!) This place is pure. 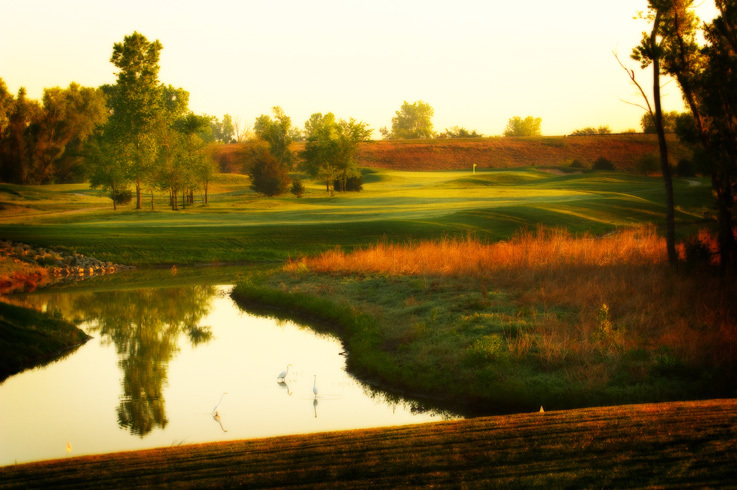 Host of the 2014 US Pub Links Championship, and last years NJCAA Jayhawk conference championship. Played it a couple weeks ago for $28 bucks with a cart and 2 drink tickets. It is a big 7359 from the tips and the wind is always whipping. The 10th hole is with out a doubt the signature hole, a 640 yard par 5 with water left and OB right on the tee shot and the water right and OB left on any lay-up or approach. This hole is so cocky they give you a free tee shirt if you birdie it. 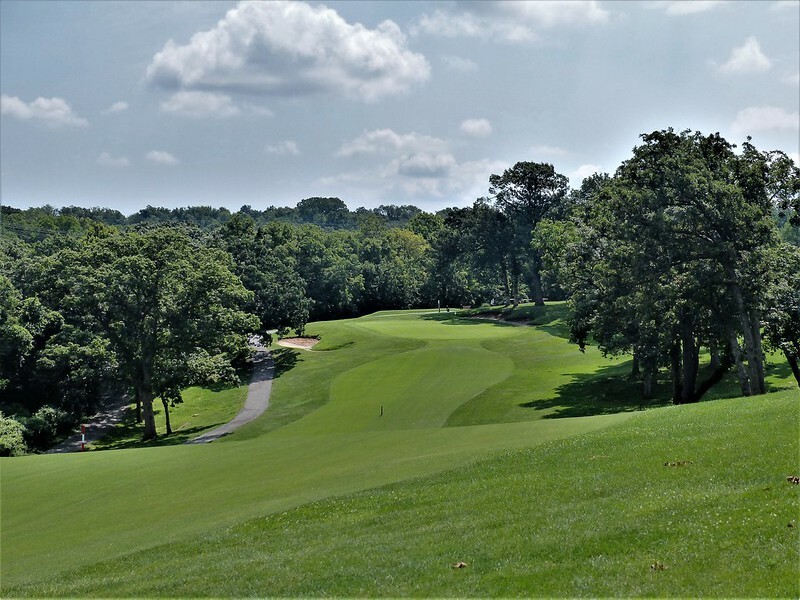 (Doug Ghim eagled it in the 2014 US Pub Links final round) It includes many great architecture elements including a redan green on the par 5 4th. Not to mention how great of condition it was in when I played it as well. This place is a steal. A brief description of why you think it's a hidden gem (and please include a photo if you have one! 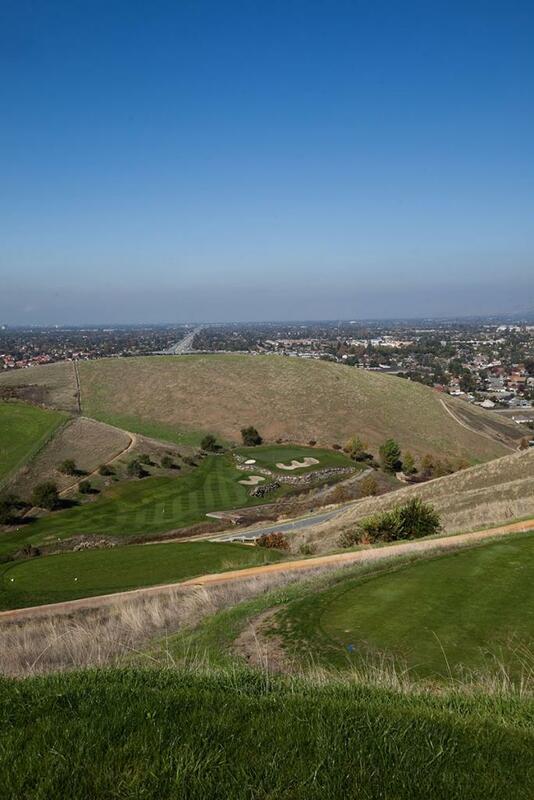 ):A deviously designed golf course cut into the hills of East San Jose. Tons of forced carries and elevation changes. Slope rating of 150 from the back tees. A lot of fun. Locals don't like it because it's tough, and the conditioning wasn't good coming out of the drought a few years ago. But last time I played it, I had a blast, especially on the first 13 or 14 holes. A brief description of why you think it's a hidden gem (and please include a photo if you have one! ): I paid $25 today (senior rate) and had a great time. Carts are $15, although the course is very walkable. I played the Orange tees (6,541 yds 71.6/125). The Oak tees are 6,806, 72.8/128. 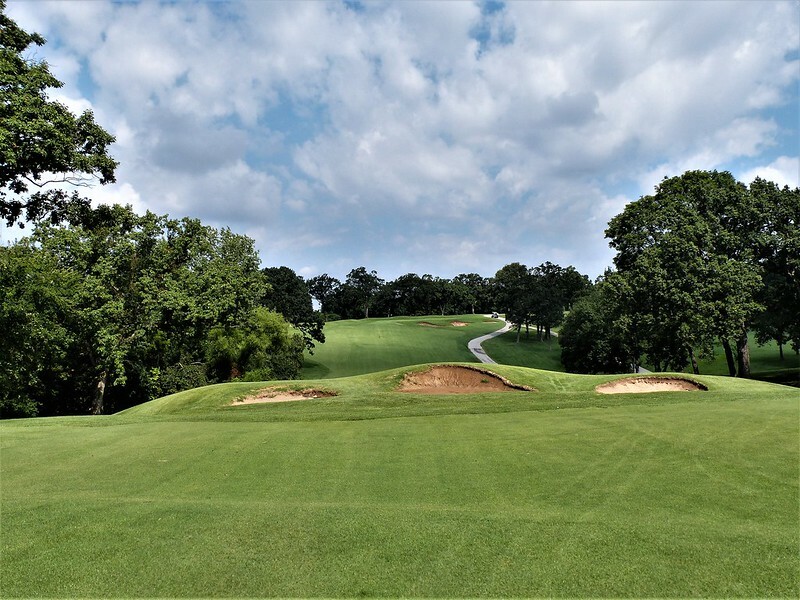 Overall in very good condition, greens were fast with lots of slopes, some greens were very large, lots of oak trees (which are definitely not 90% air), some long par fours, a couple reachable par fives, and enough sand and trouble to make it a stern challenge. 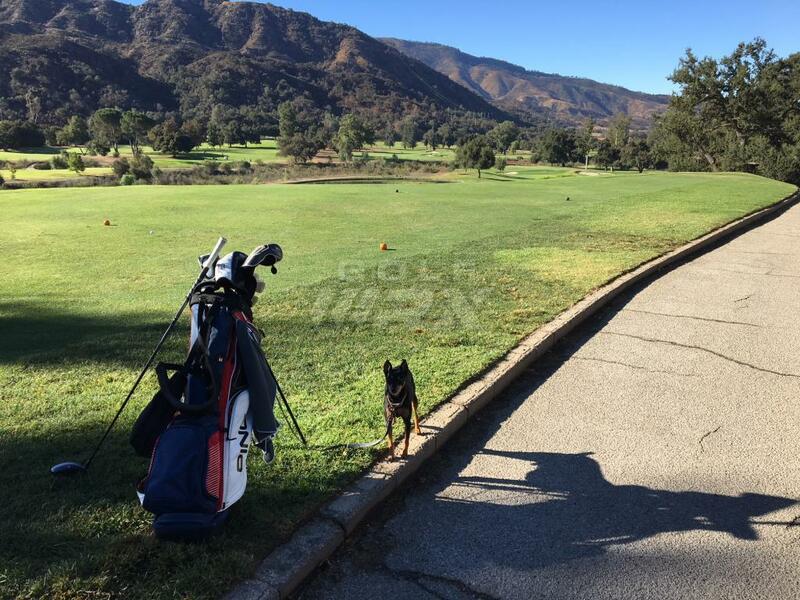 And believe it or not, they let me take my dog on the course when I played. He got in about 12-15 miles of roaming around, and nobody made any comments or complaints. Friendly place, good food and everything reasonably priced. A brief description of why you think it's a hidden gem (and please include a photo if you have one! 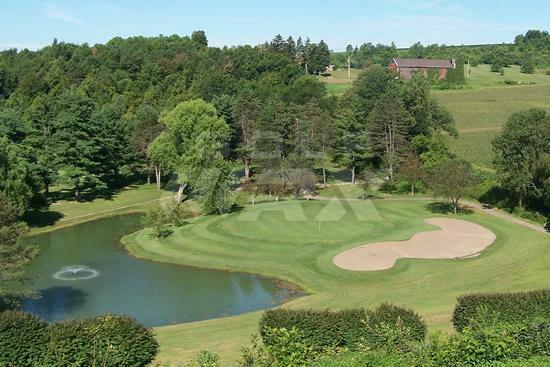 ): It has been listed in "The Beauty of Golf in New York State" by John McCarthy and rated 4 stars in the 2008-2009 edition of Golf Digest Best Places to Play. 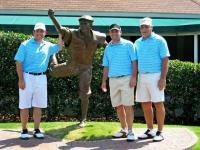 Throughout the years it has hosted many New York State Amateur Tournaments, (Men’s, Women’s, Juniors and Boys) and hosted the New York State Men’s Senior Amateur in 2010. It hosted the NYS Women's Senior Amateur in 2013, making us only one of five courses in New York State to host all of the Amateur tournaments. Designed by E. Lawrence Packer and built in 1959 by Brent Wadsworth, this 18 hole, Semi-Private course features many challenges. 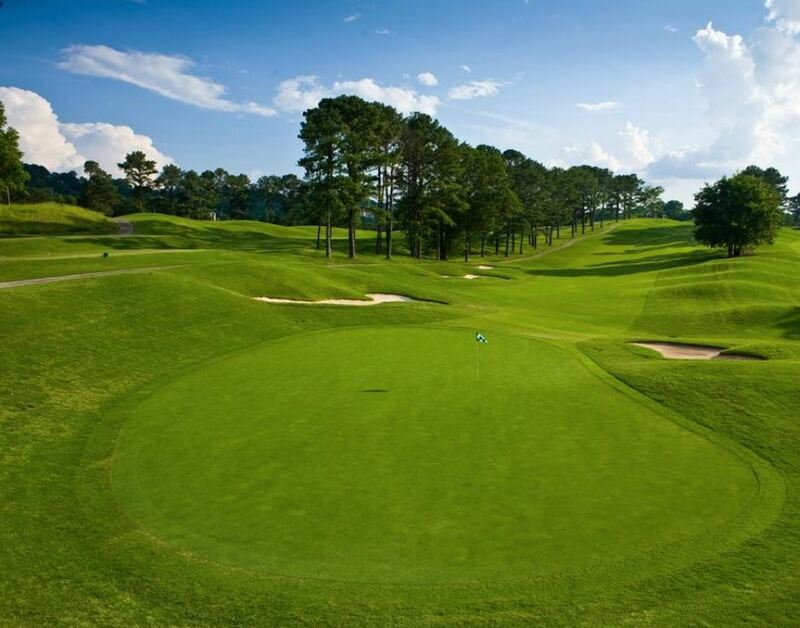 Golfers will face beautifully manicured fairways and greens. Green fees are reasonable and membership is affordable. Cart fees are included in the green fee. Walking is not allowed. Other amenities at the golf course include a driving range, food and beverages are served at this course. 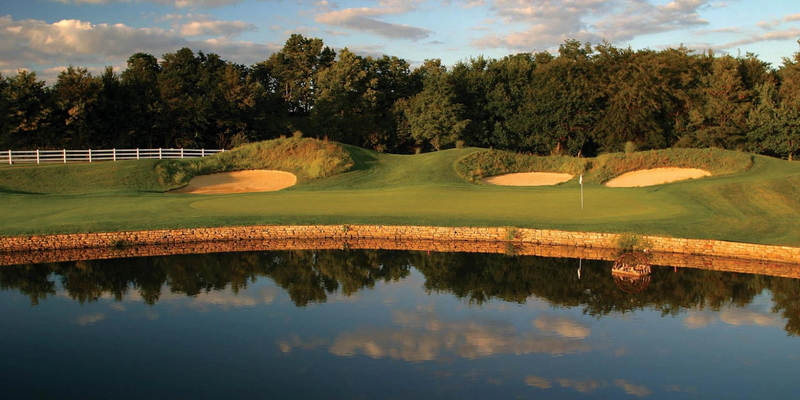 This course accepts Mastercard, Visa, and tee times are taken 6 days in advance. Corporate and group outings are available. 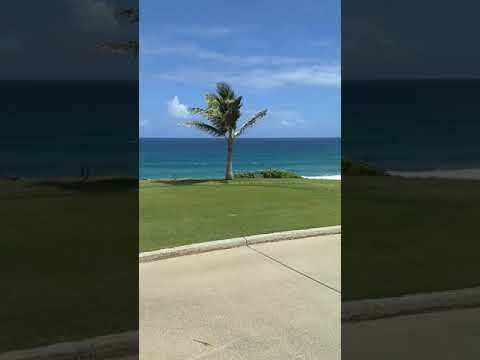 Located on East Shore on Marine Core Base Hawaii, this course commonly referred to as "Poormans Pebble" is worth it just on the views alone from 13-16. It is a bit of a process to get on base, one must call exactly 6 days prior to your desired tee time (civilian) as ask the ProShop to sponsor you to get on base. You need to go on line and fill out a form so that they will let you in at the main gate. Course is windy and has a fun lay out. A great challenge for any golfer. Sure seems like this would be a good thread to be moved. Where should it be moved to? That’s where I would have thought. And it appears to have moved. Good call on Glen Erin....a very fun course to okay, mostly links style with a few tree lined holes; nice elevation change throughout. One of my favorite courses to play! 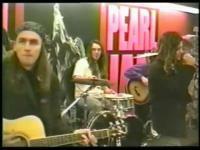 Hidden is kind of a difficult to accomplish, but this is a true muni-gem. I haven't seen it listed yet. 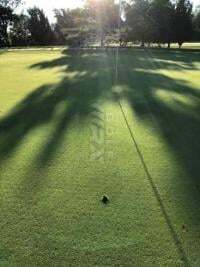 Description: Located about 45-50 miles northeast of ATL, Chicopee Woods is a 27 hole, Hall County municipal golf course. Conditions are almost always very good. It's a moderate length (each 9 is about 3500 yds) tree lined golf course with plenty of elevation change. Now that the new 9 has converted, all 27 holes have a strain of Bermuda greens...very similar to the same greens they played on at East Lake. They're well seasoned and roll very nicely....this track has been host to USGA Jr events. One of the best practice facilities for short game in the north metro. A course built in 1926 and designed by the Golden Era team of William B. Langford and Theodore Moreau. Like many course of that ear, the focus was on green complexes and this course, which remains nearly untouched, has some of the best green complexes of the era. The course tee to green is blue grass so it suffers from midsummer heat, but the greens are wonderful in design, with grand contouring seen rarely today. Greens are small by today's standards but are large enough to allow 5-6 hole locations throughout the week. Bunkering today is minimal as many bunkers were filled after the course became public nearly 30 years ago and speed of play was of interest. The bunker areas still remain, and now even more difficult as they are grass filled bunkers. 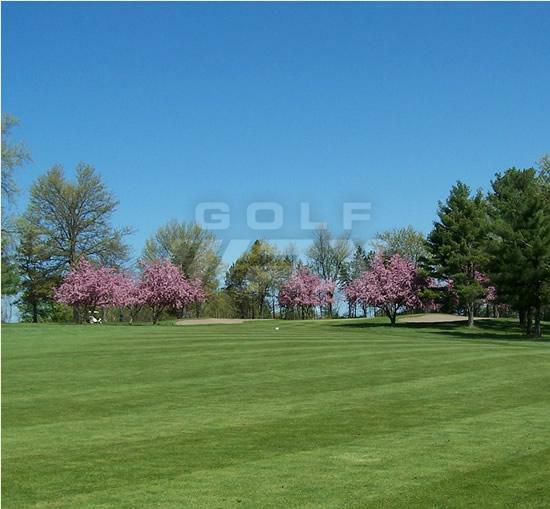 Photos are available on the web, but they do not do justice to the green designs and surrounds. Rates are $30 weekdays sand $40 weekends which includes the buggy. The course is very walkable. The course is routinely used for State Am qualifying as well as other CDGA events and does not yield low scores even though it's only 6600 yards. 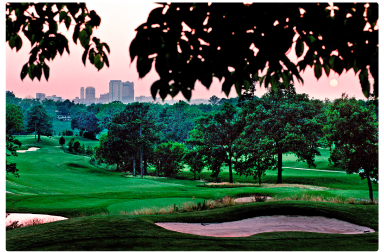 In the very, very small town of Spring Hill, KS lies Sycamore Ridge Golf Club, another hidden gem in the Kansas landscape. Playing at almost 7100 yards from the tips, this is a fantastic course, with a great variety of holes that costs around $45. Long Par 5s and short, demanding Par 4s. Elevated T-boxes for the Par 3s. Very lush, very wooded with plenty of dunes, elevation changes and chasms make this course one of my favorites whenever I am in the area (which unfortunately, is only once a year). Definitely worth checking out if you get a chance.